The minute I spotted this tee on Poshmark, I knew I had to have it. 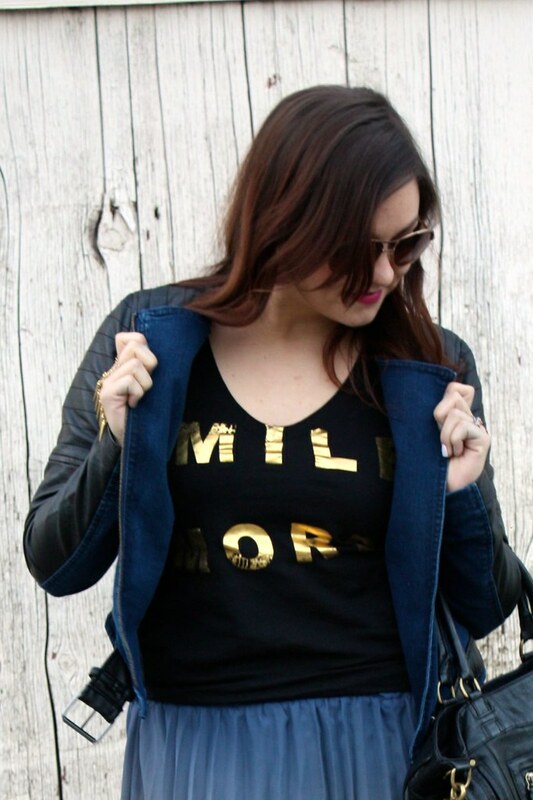 This basic black tee has the phrase "smile more" printed across the front in metallic gold letters. This is actually one of my goal in life, to not only personally smile more, to be to bring more smiles to the world in general. Everyone looks and, let's face it, feels better with a smile on their face! 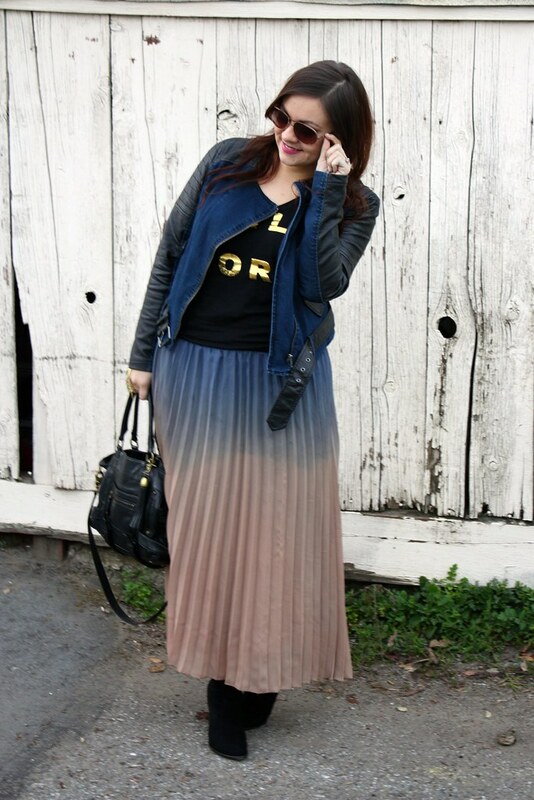 I wore the tee under a new mixed media moto jacket and with a pleated skirt that I gradient dyed a while back. Also debuting, are a new pair of western-esque ankle boots and a fun hand piece with gold spikes dangling off it. 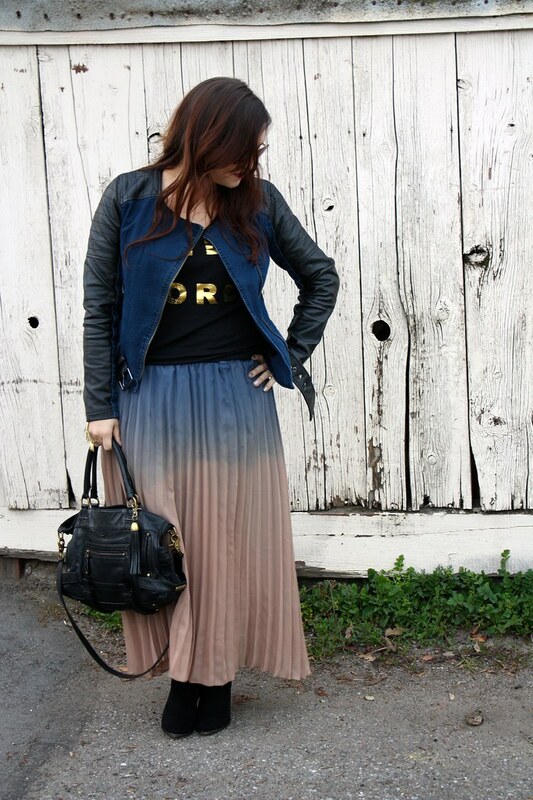 I just featured that jacket on my blog- looks fab on you! 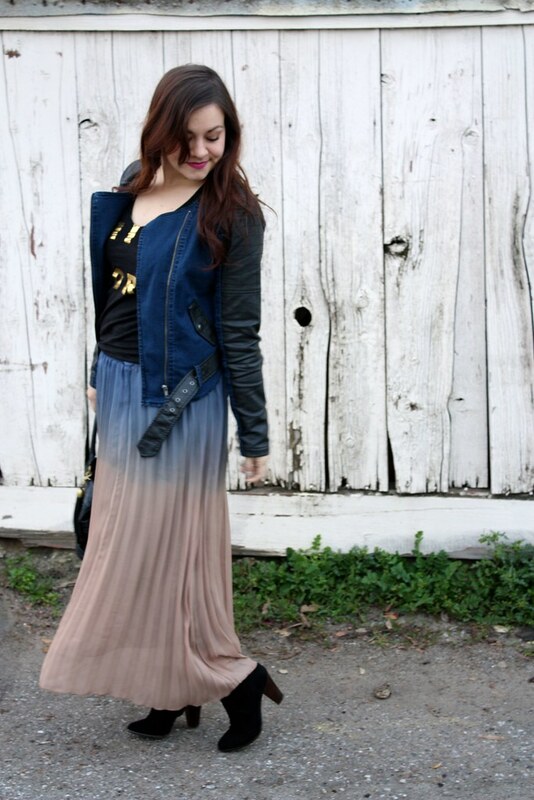 I LOVE that ombre skirt, Adiel! 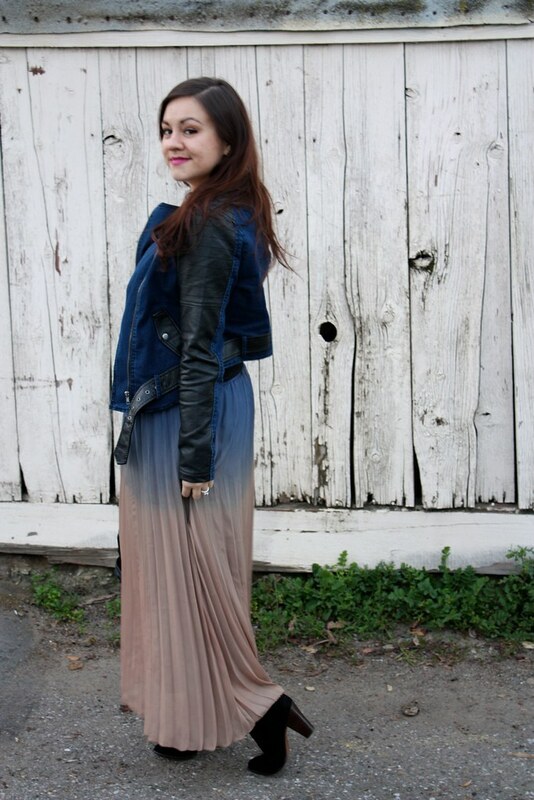 I love the ombre look on your skirt! 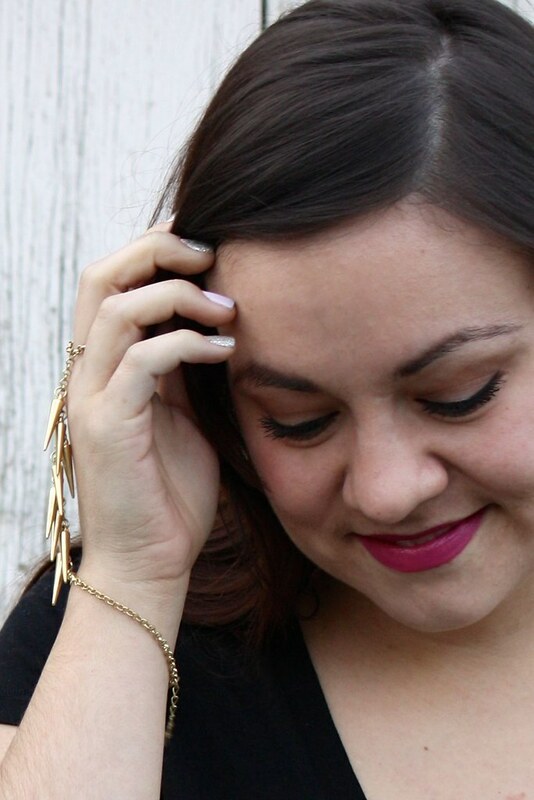 The spiked handpiece is flawless! I need one now! 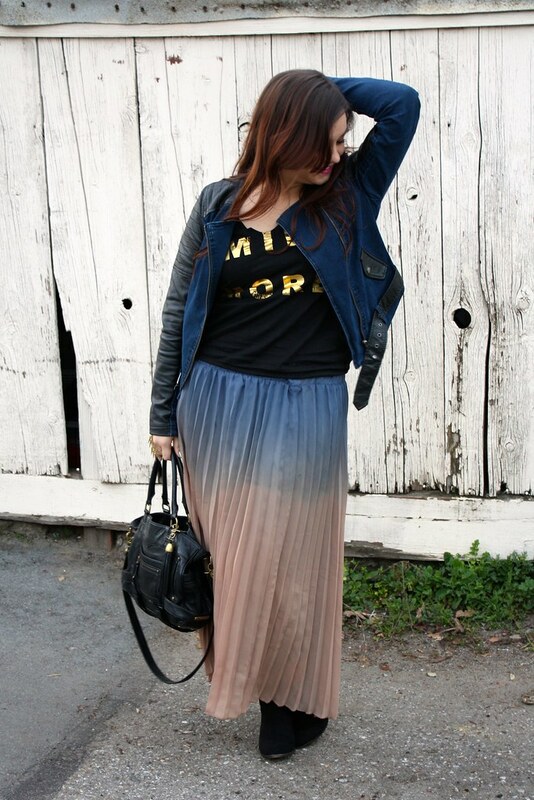 I am loving the ombre on that skirt! perfect outfit. Where can I find jacket like that?